Routesonline, the world's leading aviation network development conferences and events, has just named flight between South Korea’s capital city Seoul and a coastal city in central Vietnam the number one route on its 10 fastest-growing passenger routes in the Asia-Pacific region. According to the study, there was a 71% increase in passengers flying between Seoul’s Incheon International Airport (ICN) and Da Nang International Airport (DAD) making it the fastest-growing route in the Asia-Pacific region. More than 2.2 million passengers took flights between the two destinations, which links South Korea’s capital and the largest city in central Vietnam, compared with 1.29 million just a year earlier. On the list, the Seoul (ICN) – Da Nang (DAD) route is followed by Manila (MNL) – Iloilo (ILO), Palembang (PLM) – Jakarta (CGK), Hyderabad (HYD) – Bengaluru (BLR), Jakarta (CGK Semarang (SRG), Jakarta (CGK) – Medan (KNO), etc. 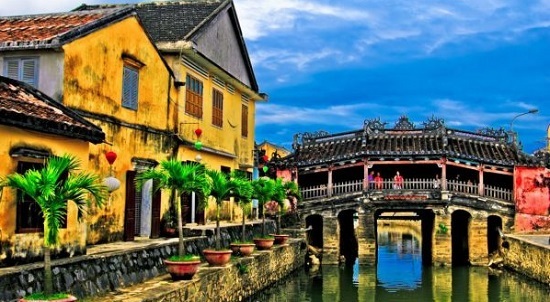 Da Nang has gained the second position among top ten destinations favored by South Korean families and couples, just behind Osaka City in Japan, according to a recent analysis done by the tour operator Ticket Monster Inc. The analysis is based on the number of tours booked in the next two months via the travel agency. Apart from groups of families and couples, South Korean individuals traveling alone prefer to go to the coastal city, followed by Tokyo in Japan, Bangkok in Thailand, the Guam Island in the US. South Korean tourists totaled over 500,000 people, which accounted for the largest portion of 1.4 million international arrivals in Da Nang in the first five-month of 2018, according to the municipal Tourism Department.